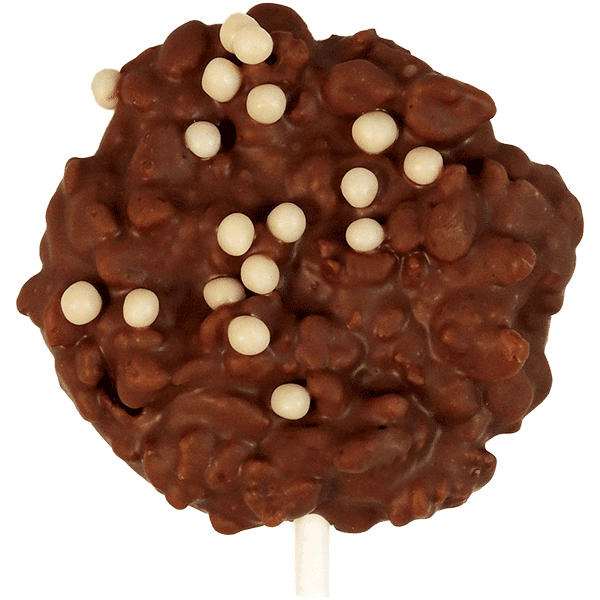 Milk Chocolate Crispy Pop. Solid. INGREDIENTS: SUGAR, COCOA FAT, RICE, DRY WHOLE MILK, UNSWEETENED CHOCOLATE, PARTIALLY HYDROGENATED VEGETABLE OIL, SOY LECITHIN ADDED AS EMULSIFIER, NATURAL VANILLA FLAVOR, BHT.